Lighten up, and change is easy. Over and over again I see what happens to clients after they’ve lightened up in a session. Once they are clear, and more themselves, change starts to happen — even before they have a chance to do anything different. They show up in their world with such an energy that life begins to rearrange. Those days in which parking spaces are easy to find, people flirt with you, you win that contest, or someone out of the blue offers you a job? On those days you are being generative. Your energy changes the world. 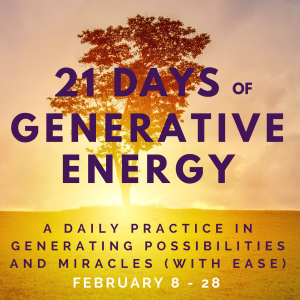 Your energy invites MORE! Personally, I like it the ease of that! Change requires energy. Energy can come from work, or it can come from YOU being you with such potency, presence and joy that life wakes up around you. How much in your life is poised to change with a burst of that energy? 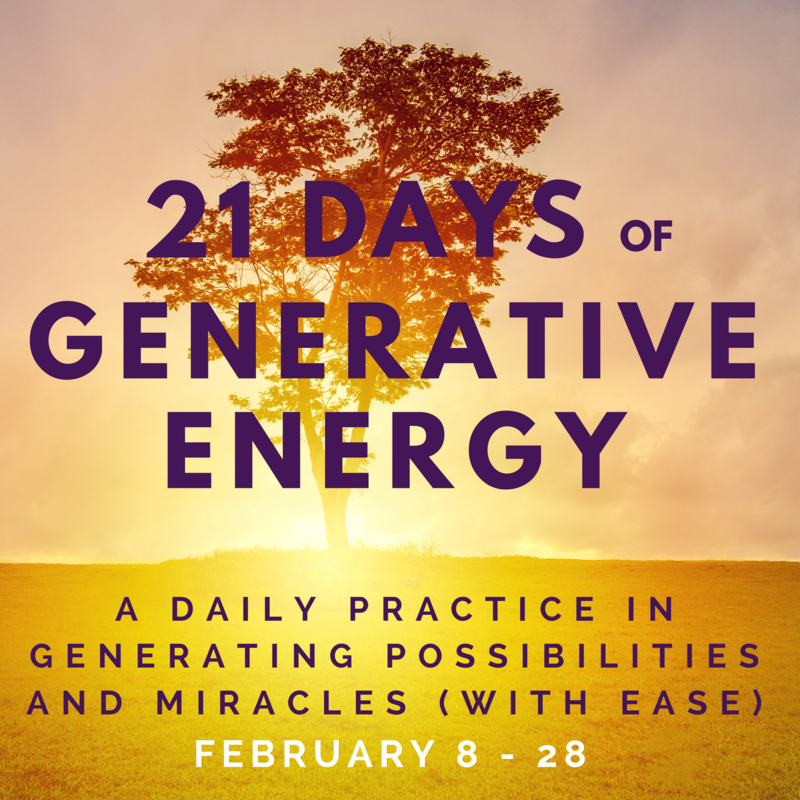 You can practice with me by joining 21 Days of Generative Energy, February’s daily meditation class. We begin Thursday! Details HERE. Or book a session, and brighten up with me!